Opposition leader, Bharrat Jagdeo has made it clear that he intends to remain a force to be reckoned with. The former President, whose hopes of returning to Presidential office were recently shattered by a Caribbean Court of Justice (CCJ) ruling, said this at a press conference he held yesterday—the second for the week. 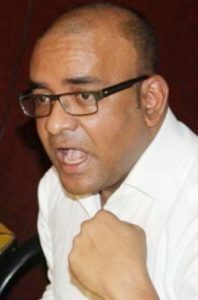 As he stressed that he will remain on the public scene, Jagdeo also noted that he is holding on for dear life to his position as General Secretary of the People’s Progressive Party/Civic (PPP/C). He said that he will be ensuring he carries out all the duties of a General Secretary. With Jagdeo no longer being eligible to run as President, the PPP/C will have to decide on a candidate. This decision will be made soon, as preparation for 2020 elections have already begun. The decision is usually made by the PPP Central Committee through a voting process. The media asked Jagdeo yesterday, what if the Presidential Candidate is one who challenge his authority. Jagdeo is saying here that he is the boss of the party regardless who is the presidential candidate. I get the feeling he does not want to relinquish power even though he cannot constitutionally run for the job of president nor PM. This position that he has taken could cause the party the elections in 2020 and beyond if he continues to be there. Interesting! It's first time I hear a labba laughed. Cussing the Namakaram Crabdaag is like throwing water on Duck's back. A shameless PRICK and PARASITE like that is immune to CUSS and INSULTS!!!! Are you people now seeing what I've been saying all along? Given fair elections, if the PPP loses, it will be his fault. He is acting like a spoilt child who refuses to relinquish or share his sandbox. If I didn't know better, I would say this is a coolie tradition gets dragged into politics. Your leader, Jagdeo failed to realize that cussing Nagamootoo is a waste of time. I hate it with a passion when Jagdeo resorts to professional pusser-pusser. So if he is not the Presidential candidate and the PPP loses, it's Jagdeo fault? So then why is Rohee and Komal Chand still there calling the shot behind the scenes and promoting Marxist policies to keep the party old? GAWU did nothing to save any jobs for the sugar workers. Well first of all, he can't be the Presidential candidate anymore. Given the past history, if the PPP candidate is in any way perceived as being another Jagdeo puppet, the PPP will lose. I should have made that stipulation. The question is, even if Jagdeo does not handpick the candidate, will that candidate have a fair chance as long as Jagdeo is around or will the Jagdeo stigma cause him/her the election? Candidates on both sides will get a good cussing down. Same with the mud slinging and lies. It's the nature of politics. The only time things like that should bother anyone is if they are in fact true. If you don't think that Jagdeo should remain in the party in any role, then people like Rohee, Chand, Luncheon, and many others should go also. In 2015, Jagdeo was long gone. He was not a Minister, General Secretary or any leader. He spent most of three years outside of Guyana. Why isn't Ramotar getting blamed? Jagdeo never lost an election. Ramotar did. However, the geriatrics in the PNC, too many names to mention, are doing just fine. Agreed. Maybe the PPP should clean house. By the way, what makes you think the PNC geriatrics are doing fine? I thought we were discussing just Jagdeo, the PPP and the CCJ ruling. How much Granger bashing have you seen here on GNI? If any PPP leader dragged the country into so much debt, mismanaged the country, and was always out of the country doing God knows what, all hell would have broken loose here. But the PNC get a free pass every single time. Without fail. Everyone is waiting to cheer him on a second term victory. Please read your post before hitting the enter button. Jagdeo shows up back in 2015,after the sojourn starting after the 2011 elections. Did you see the bashing that went on here on GNI accusing Jagdeo of trying to push out Komal Chand? The same people on here who were cussing Komal turned around and ripped Jagdeo to pieces. The Marxist faction in the PPP has a tight grip on power. 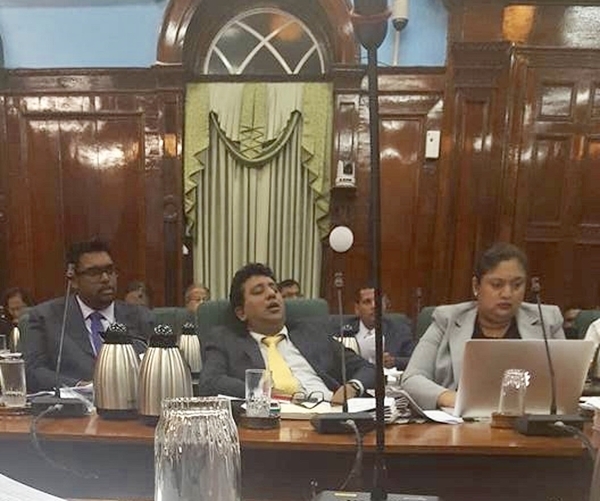 Jagdeo dare not touch any of them. And they all have their vote in hand ready to elect THEIR next presidential candidate. Suh yuh saying some will cross the floor. One man sinking the ship,them bhais better start a mutiny.I doan want HAPNU to be anchored in. Hey hey hey...some a dem goh cross over foh true. Hey hey hey...souptunists need barley and dhal soup. Let me explain it to you this way. With the exception of about 3 or 4 Central Committee members, it's the same people who voted for Ramotar will be voting this Presidential candidate. Jagdeo tried to thwart it by running for a third term. The good news so far is that the candidates are all young people. But that can change any minute. Ramotar can throw his hat back in the race if he so wishes. He was a corrupt cabal member! Yes in fact Nehru, Yuji, Kszama and others daily sing love songs to Granger and call him the best president that Guyana has ever had. Granger is a proven GADAHA!!! "That's surprising coming from a man who used his presidency to make the country his personal ATM and victimized any and everyone who dared oppose him? Have you been asleep?" "So as far as you know, the Rat does not have sticky fingers and did not victimize any who stood in his way?"